A smart meter is an online utility meter that measures the consumption of water, natural gas and electricity in a home. Through wireless transmission via radio frequency (RF) wave signals, the usage data is provided to the utility company, which supposedly uses the data to “optimize” electricity rates and schedule power generation. While the utilities push smart meters as a way to save on energy bills, there are a wide range of concerns about their technology. From their claims to save energy which has gone unseen, to privacy concerns and alarming health issues resulting from the RF waves, the public is becoming more aware of the imminent danger from the meters. 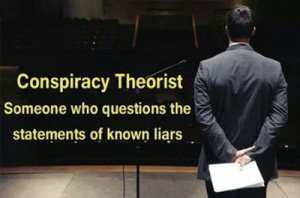 There is evidence smart meters were developed by the U.S. Military in Ft. Meade to disrupt “the working memory” and deliberately cause the “sensation of buzzing, ticking, hissing, or knocking sounds that originate within or immediately behind the head,” reported an army report released in 2006. The radio waves “are variable…[and] can cause giddiness, nausea, and loss of consciousness,” the report reads. The technology is also tunable, meaning that it can be turned up or down from a mild interference to complete loss of bodily control with muscle spasms and unconsciousness. Since it was anticipated by the 2006 report “that 100% of the population would be susceptible” to the effects of the radio waves put off by smart meters, the only thing left was to find a way to convince the public that they benefit from the transition. 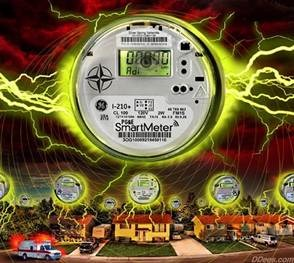 The government, utility companies, and direct energy providers use claims of a better management system for home energy usage in order to con citizens into thinking that the meters are actually a perk. On top of the health issues from those with smart meters affixed to their homes, there are concerns about the vulnerability to commercial exploitation and criminal hacking. The data of a home’s energy usage constitutes an encyclopedia’s worth of knowledge: eating routines, exercise habits, television shows, social visits and more. Variable load signatures and RFID-equipped appliances even allow power companies to know which appliances are being used and when. “Very sensitive information can be revealed about homes, and homes are the most sacred privacy environment,” says Nancy King, Oregon State business law and ethics academic. “I think the data is going to be worth a lot more than the commodity that’s being consumed to generate the data,” says Miles Keogh, director of grants and research at the National Association of Regulatory Utility Commissioners. How long until energy metadata is sold to marketers? Or Uncle Sam? In April 2013, the San Diego Gas & Electric Company admitted to disclosing, pursuant to legal process, the energy consumption records of more than 4,000 customers. According to the DOE’s code of conduct, the cyber-security risk is something that will need to be managed frequently on the side of the company itself. Employees are to be trained to follow the unreleased regulatory rules placed by local and national governments, which are set to “protect” the people. Unknown government rules run by large companies – as if there’s no way that could go wrong. Nancy King suggests that voluntary industry compliance and consumer choice make too fragile a foundation for privacy and cyber-security. For another, if a customer wants to sell their usage data for a price, then who’s to say otherwise?